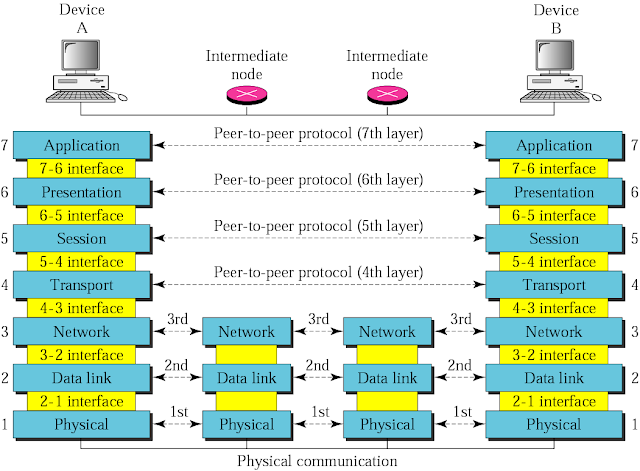 OSI (Open Systems Interconnection) is reference model for how applications can communicate over a network. A reference model is a conceptual framework for understanding relationships. 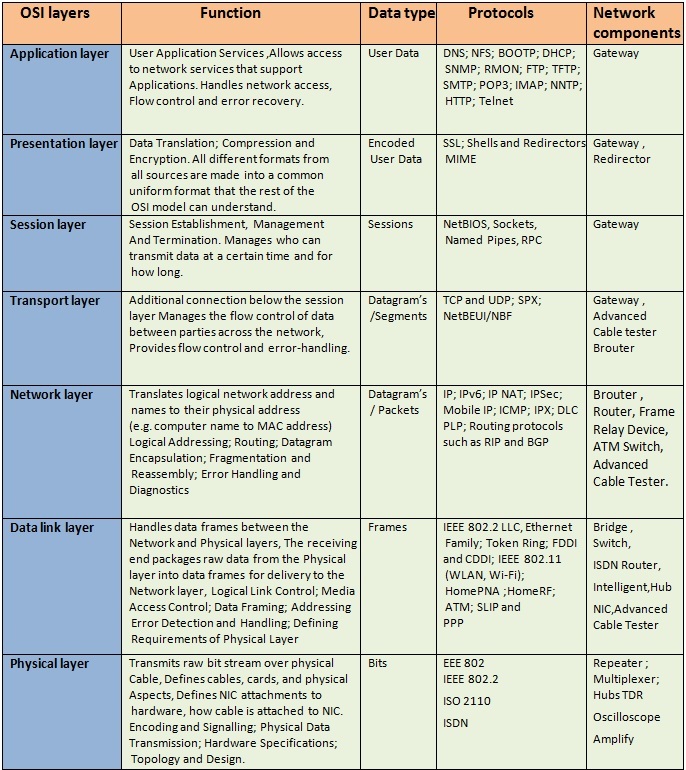 The purpose of the OSI reference model is to guide vendors and developers so the digital communication products and software programs they create will interoperate, and to facilitate clear comparisons among communications tools. Most vendors involved in telecommunications make an attempt to describe their products and services in relation to the OSI model. And although useful for guiding discussion and evaluation, OSI is rarely actually implemented, as few network products or standard tools keep all related functions together in well-defined layers as related to the model. The TCP/IP protocols, which define the Internet, do not map cleanly to the OSI model. The main concept of OSI is that the process of communication between two endpoints in a telecommunication network can be divided into seven distinct groups of related functions, or layers. Each communicating user or program is at a computer that can provide those seven layers of function. So in a given message between users, there will be a flow of data down through the layers in the source computer, across the network and then up through the layers in the receiving computer. The seven layers of function are provided by a combination of applications, operating systems, network card device drivers and networking hardware that enable a system to put a signal on a network cable or out over Wi-Fi or other wireless protocol). It is the lowest layer of the OSI Model. It routes the signal through different channels from one node to other. Transfer of data from source to destination session layer streams of data are marked and are re-synchronized properly, so that the ends of the messages are not cut prematurely and data loss is avoided. It performs Data compression, Data encryption, Data conversion etc. It is the topmost layer.